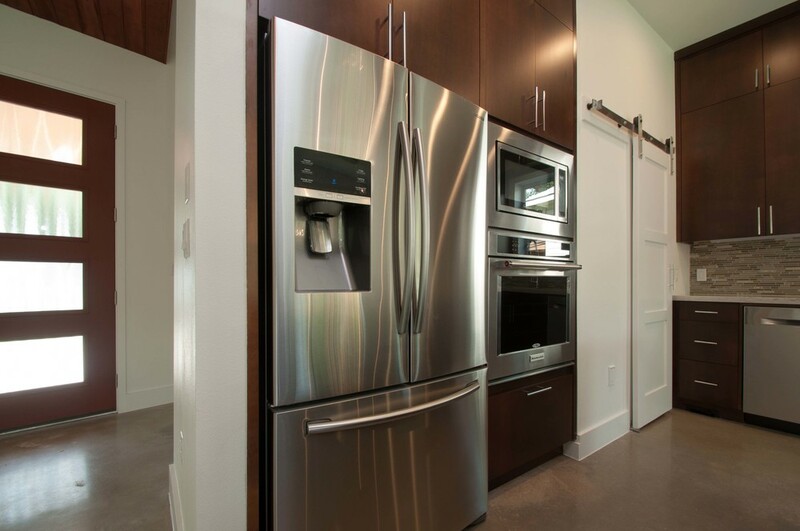 The photos for a new house we designed in central south Austin have just come in and we're pleased with the result. The design turned out very similar to how we imagined from the start. 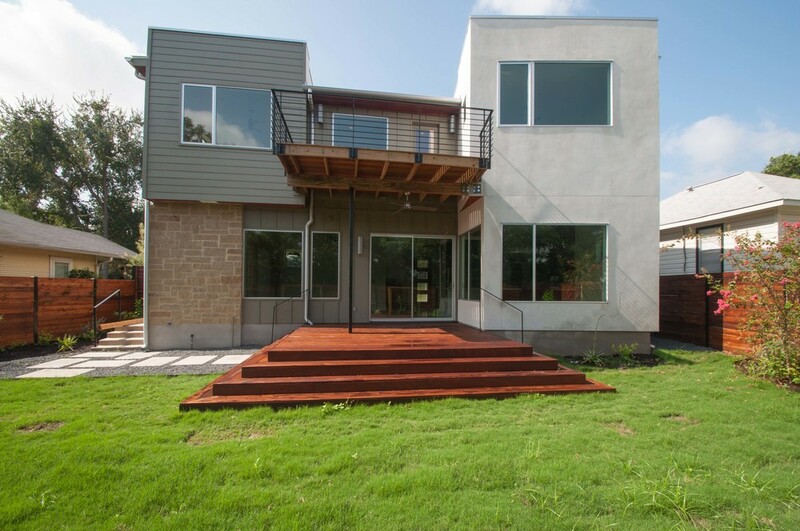 Trying to fit a 2200 sf residence on a small lot in urban Austin can be a challenge. We wanted to break up the massing into blocks of varying colors and textures. The left side property line is at an acute angle so we thought we'd emphasize that with a subtle collission of angles at the front entry. The stone wall seen from the outside continues through the house as does the wood roof eave which carries through the front entry to the back of the house. For a small, compact house there is a lot going on and a pleasant mix of materials and interest. The house also has a nice view of downtown from the second floor balcony and master bedroom. The owners are having us design a roof deck that will be accessible via a spiral stair from the balcony. We'll let you know how that turns out. Below you will find a gallery of images. 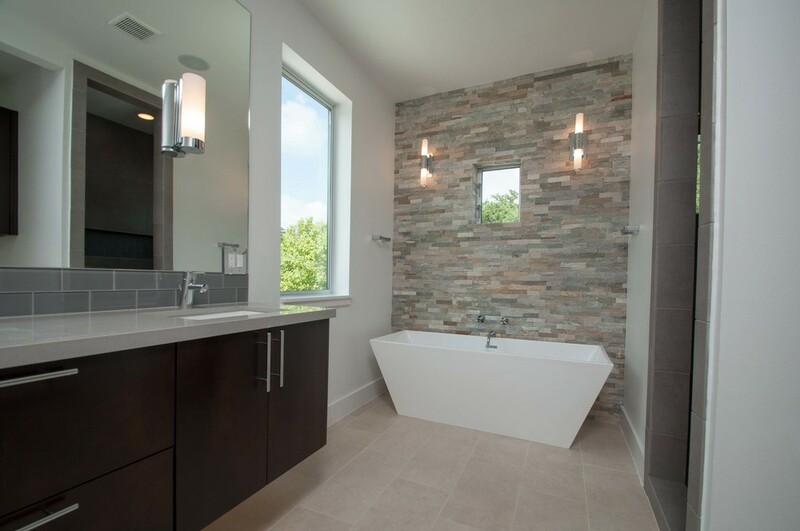 You can also visit our Houzz page or our website for other recent projects.